I managed to get my XPS 13 open thanks to this guide. The technique that worked best for me was to use the blue plastic triangle picks. Remove all the screws including the one under the "XPS" cover. From the back. With the laptop flipped over, vents closest to you. 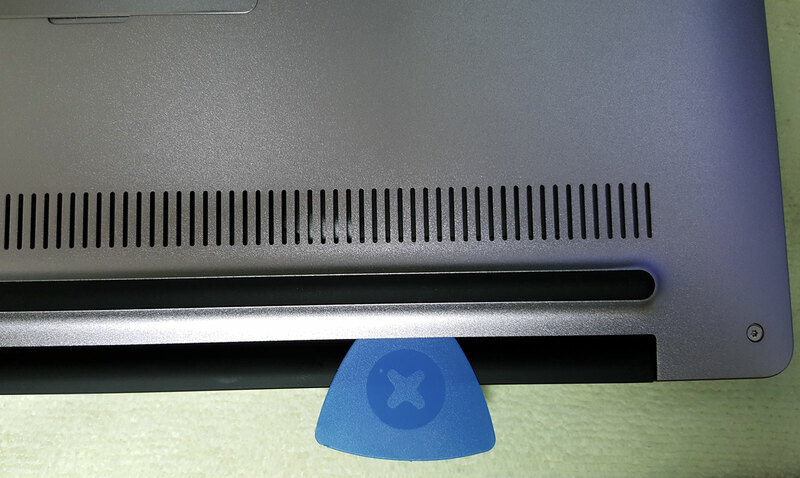 Put a blue pick into the area below the right side of the vent. See picture. I then shoved a second pick on top of the first to give it more strength to lift/twist and pop off that corner of the cover. I worked around counter-clockwise from there. Sometimes I used up to three picks stacked to get the cover off. I replaced the SSD with a 250GB M.2 80mm drive.